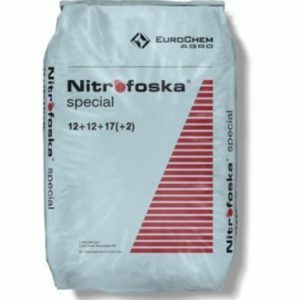 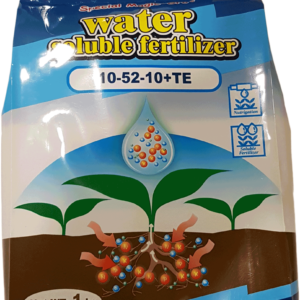 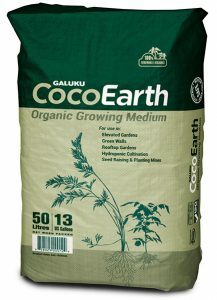 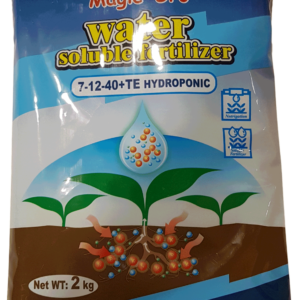 Highly efficient nitrogen-potash water-soluble fertilizer with increased K2O content. 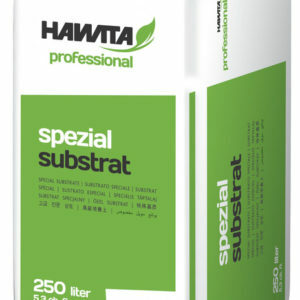 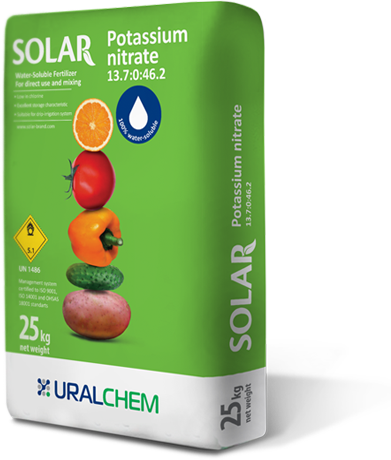 SOLAR Potassium Nitrate is perfectly suited for protected agricultural applications and for fertilizing grain, vegetable, fruit, flower and ornamental crops. 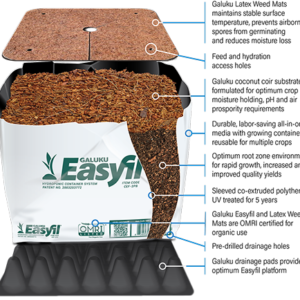 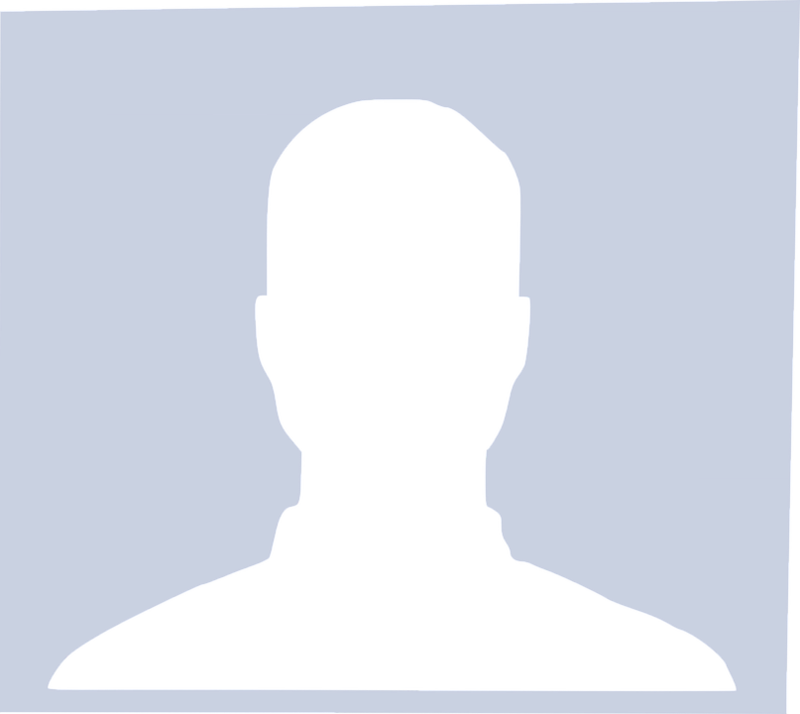 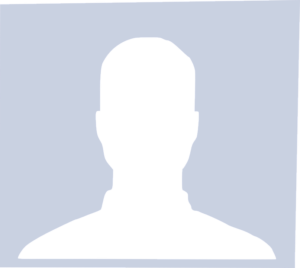 It includes an innovative free-flow agent to keep it 100% friable during storage. 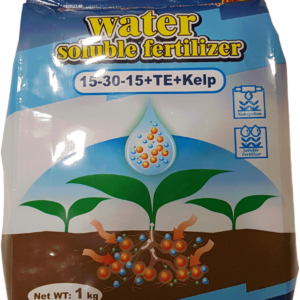 Application of potassium nitrate improves uptaking capacity of roots, facilitates photosynthesis and enhances plant tissue structure.